George Soros is behind all the chaos in this country. Soros has half of the US congress in his back pocket…. As long as there is corruption in government and these protests continue, the United States will be divided… Soros MUST be charged with TREASON against America and its People and exiled to GITMO for the rest of his life…. 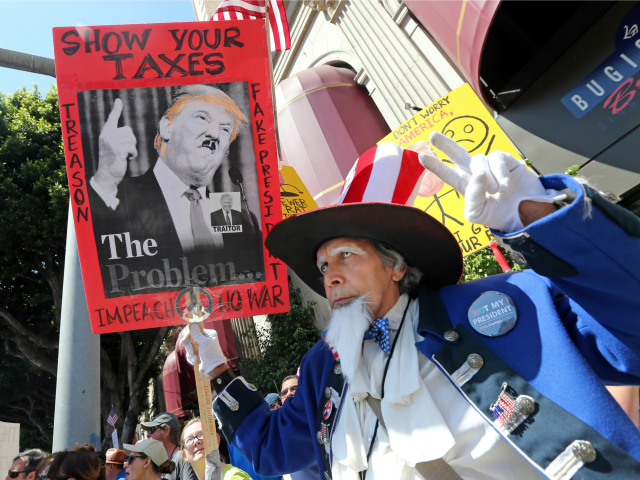 President Donald Trump on Sunday took to Twitter to call for an investigation into the anti-Trump Tax Day Marches held Saturday. If this is news to anyone they haven’t been paying attention. Seize his assets and send him to club gitmo . Why is this fucker not brought up on charges?? ?